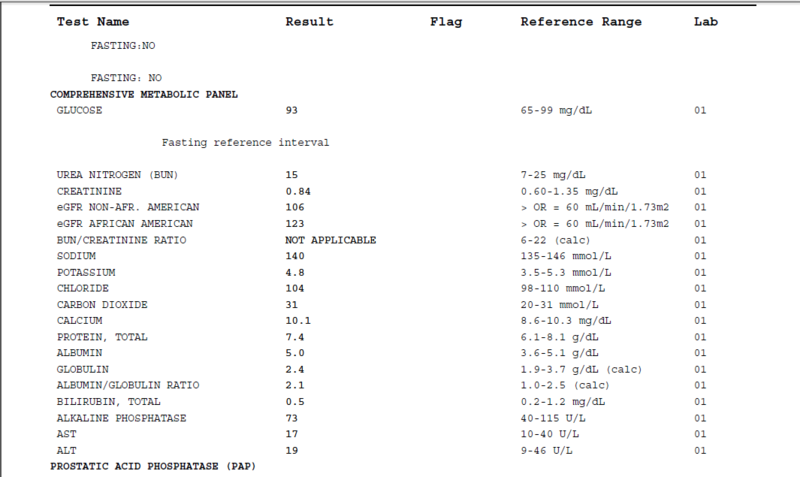 I need your opinion on A1C? 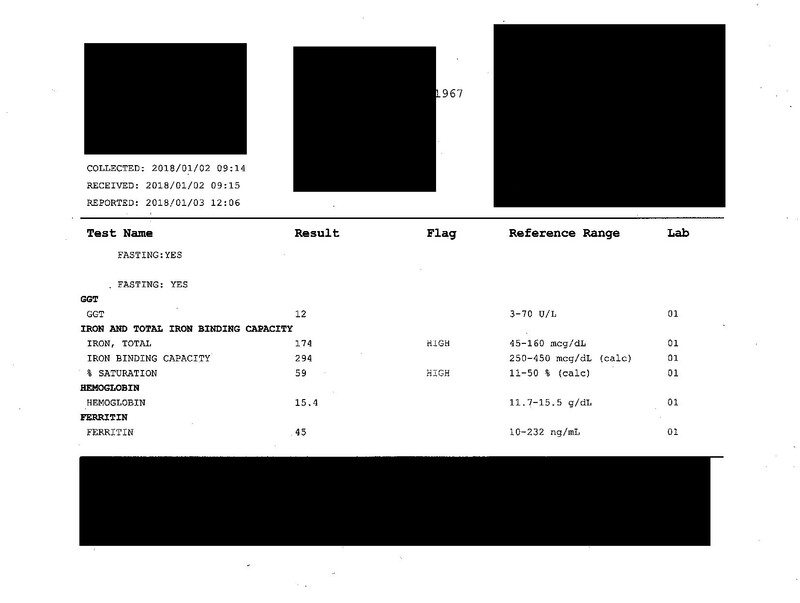 Could you please analyse my blood test, give me your opinion and please advise, especially I need your opinion on A1C ( what is normal not just now itc on same level from 2013 , 5,7 or 5,6) and fasting glucose what is now 8.0 (and from 2013 is between 7 and 8), is this diabetes 2, and regardless that A1C is years in normal range?. 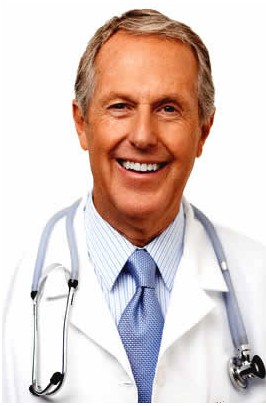 And especially your comment advise regarding cholesterol, total, ldl, hdl and ratio. Also please advise if cholesterol require to go on statin, how to manage issue with glucose, due that statin can and have impact to increase diabetic problem? 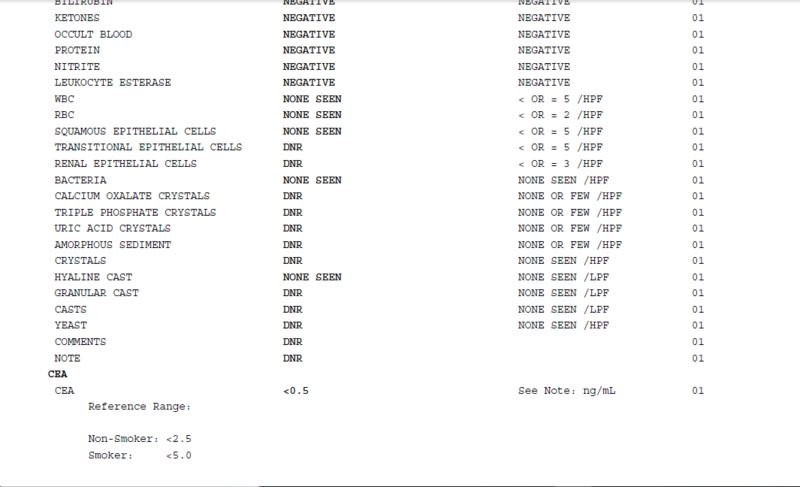 My blood test results indicate Positive ANA, what does that result mean exactly? Hi. I went for a blood test and results came in, haven’t seen my primary care doc yet, but all seems ok except for my ANA result it came in at .27. Does that mean there is a problem? I am really worried about this. Your answer would be appreciated. I have two blood clotting conditions . Antiphospholipid syndrome and idiopathic thrombocytopenic purpura? I have two blood clotting conditions . Antiphospholipid syndrome and idiopathic thrombocytopenic purpura. I was diagnosed with these conditions approx 10-12 years ago after the birth of my 4th child whom I had a normal birth but ended up having an emergency subtotal hysterectomy due to uterine atony . I had to receive 10 pints of blood to due the enormous amount of blood loss . After the birth I developed a pulmonary embolism on my lung due to surgical stockings not being applied and needing bed rest after the traumatic events after giving birth . My question is could I have acquired any if not both of the blood conditions I have now due to the blood transfusions I received . I had never had any blood conditions prior to the massive blood transfusion . Plus no problems in previous pregnancies except an emergency c.s with my first child due to her being in distress . General Information: My itp is mild and I have only ever had one blood clot after childbirth . 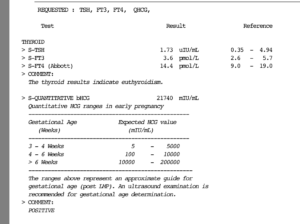 Ultrasound of my kidneys provides different results, please advise? Hello in 2010 I had an ultrasound after seeing a nephrologist. My right kidney measured 10×3.6 cm and my left 9.8×3.8 cm…the notation said slight increased echogenicity of both kidneys in prominent pyramids. And the impression was suggesting medical renal disease…now the nephrologist said that I had significant scarring in both kidneys. Which baffled him because my blood work was great. Now a few days ago after getting an ultrasound of my kidneys there was nothing it was all normal. And while I’m thankful I’m confused and no one seems to be able to tell me why this can occur. Can you tell me why this might be the case? General Information: I was diagnosed with fibromyalgia in 2017 and my Rheumatologist thinks I may have RA or sarcoidosis. Did a health test analysis should I worry about my results? I just did a health test analysis at (—) via one of the online services (—). 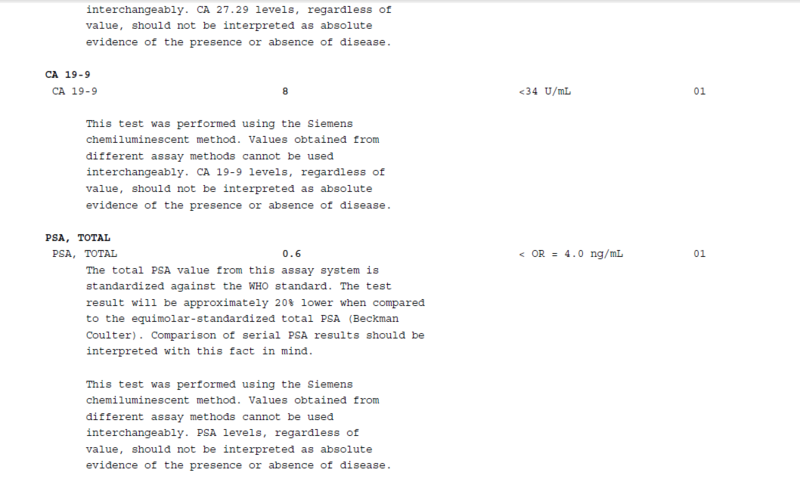 Now I have the test results, but I do not know how to read it. I am travelling a lot (over 200 days a year), and I really need doctor’s input on what I need to do. Like if I should worry about my results or what. My blood result monocytes are high. Can anyone explain to me what might cause that? 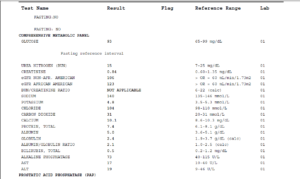 I recently had some blood work done and wanted an opinion on the results. Wbc 2.6, auto neut 27.7, auto lymphs 16.4, auto mono 24.7, auto eos 0.4, abs neut 0.7, abs lymph 0.8, Ag ratio 1.0. So essentially everything is low except my monocytes. Can anyone explain to me what might cause that? General Information: I’ve been having a lot of bone pain & fatigue so I went to my doctor who ordered these tests, but I’m unable to get in to see him soon. 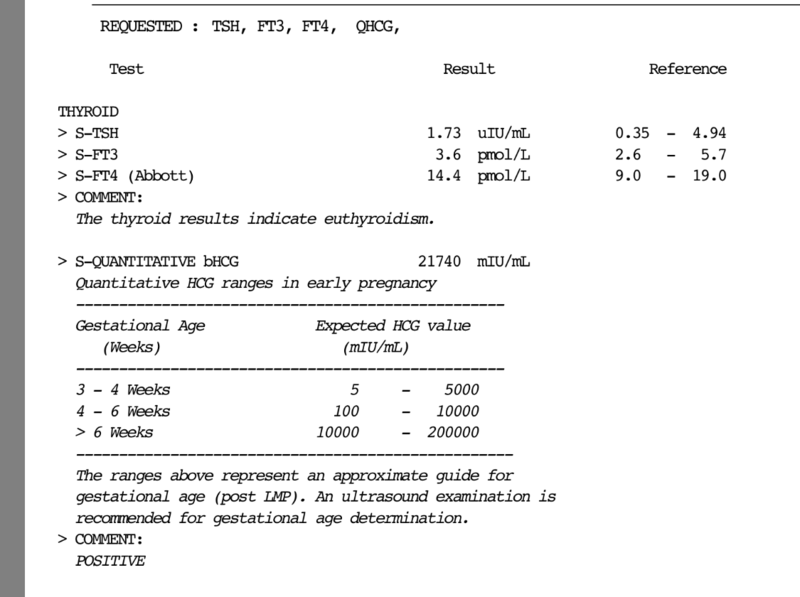 I am pregnant, is it twins and are my thyroid levels normal? Hi doctor I am 5 weeks 4 days pregnant. Please let me know if I need to increase thyroid dosage I am currently taking 50. 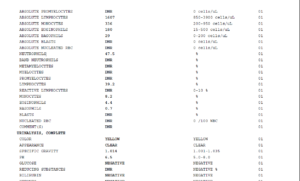 Also the hcg levels look elevated to me is there a possibility of twins. Or does that indicate a singleton pregnancy? I am just wondering if it is multiples as it looks high to me but maybe it’s normal for a single. 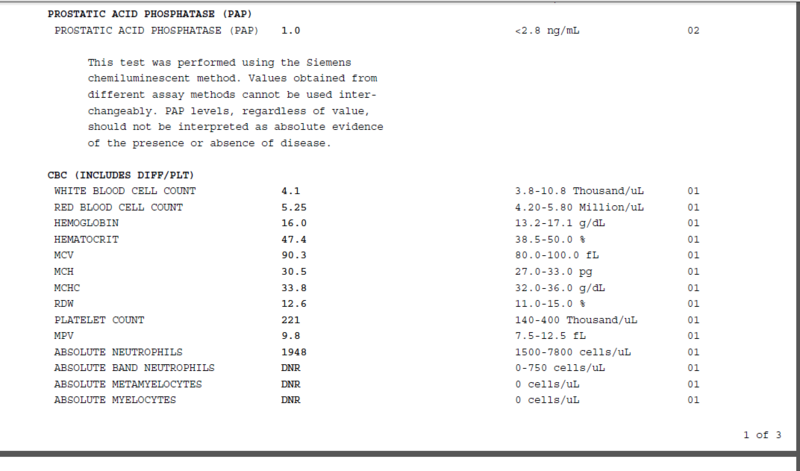 Lab results show high total iron and % saturation, please advise? 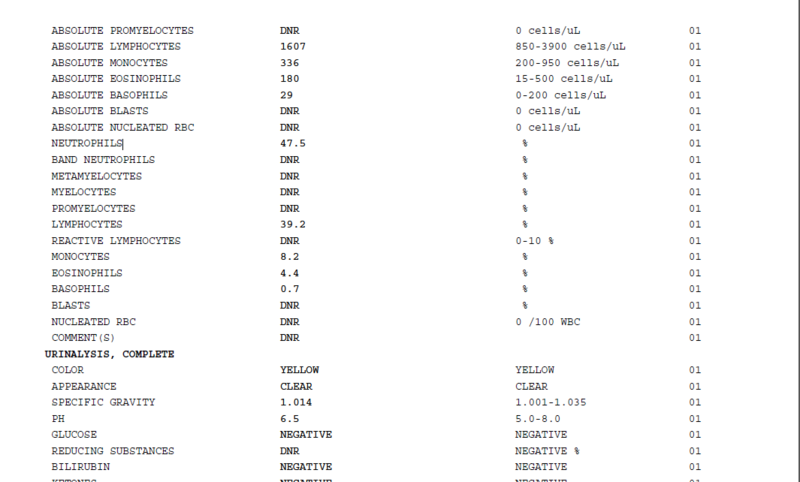 I had lab work done to test for iron, and it showed high total iron and % saturation. Should I see a doctor for this, or donate some blood, or not worry about it? 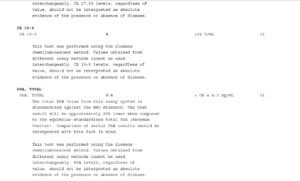 (I uploaded the lab results.) I don’t have any medical problems other than infrequent migraines. I did a blood test 7 months back, is there something abnormal? Does the results indicate something abnormal ??? 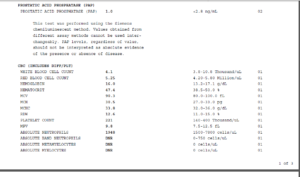 I was injected intravenously with iodine for CT scan, now having side effects? I had a CT of my chest and abdomen. I was injected intravenously with iodine contrast twice. The next day I was having constant palpitations, my heart felt like it was racing and bogged down. I was short of breath and lightheaded, I also felt a weird pressure in the arteries in my neck. I was having mood swings and very stressed and depressed. This was constant for a week and a few episodes the next week. This week, the third week seems to be more frequent. I read that iodine contrast can trigger hyperthyroidism, since they injected me twice I think it is probably the case. How long will this last and do I just wait it out? It feels awful. I emailed my Dr and she just said to drink a lot of water to flush it out, I don’t see how that can help. I take Adderall for Attention deficit hyperactivity disorder (ADHD), will it show up positive on a drug test? I am seeking employment and need to get tested for drug use. I take Adderall for ADHD Attention deficit hyperactivity disorder, will it show up positive on a drug test. In particular will it show up positive as amphetamine and methamphetamine usage? I am positive carrier for the Kell antigen, can I donate or receive blood? I have unusual weight gain problems, what is the cause? I’m 29 yrs. / female. I’ve troubles with my cholesterol levels and my weight. the problem started after I took these medicines (eltroxin 50 mcg,deltavit b12,inegy 10/20) for only one month starting from 1st June 2016, I gained 25 kg in 16 months even I work out three times a week and my eating habits never changed. 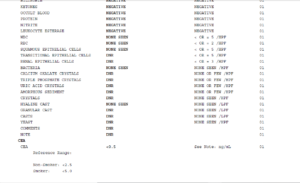 I attached my blood tests history before and after the medicines. General Information: 4/12/2017 I had a pelvi-abdominal sonography only comment was “fatty liver”, Sometimes I’ve slight pain in my waist (right side). I experience pain in my feet (lower back) when I wake up in the morning, it disappears after couple of minutes.